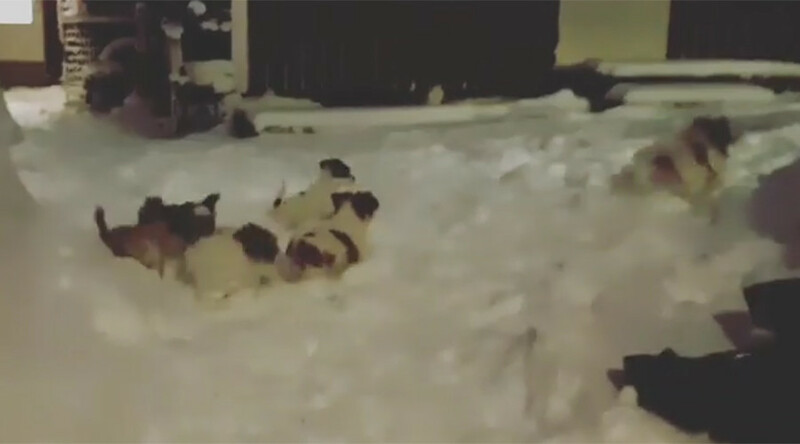 Dog lovers everywhere will have their hearts melted after seeing how ridiculously excited these adorable rescue puppies in Sweden were when playing in the snow for the first time. The video of the small dogs jumping through their first snow at the Hundstallet shelter in Stockholm racked up over 230,000 views since being uploaded on January 4. There’s a happy ending too with all five puppies, which are a mix of Papillon, Shih Tzu and Chihuahua, being rehomed within two days of the video being posted. After the first batch of dogs were rehomed, another 11 puppies were brought into the shelter and were also seen in another video rolling around in the snow. According to the Facebook post, which was viewed over 96,000 times, around 100 people applied to adopt the puppies, so they could very well catch Sweden’s next big snowfall in their new homes.